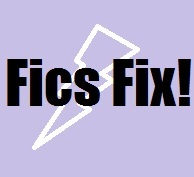 Dora Reads: Friday Fics Fix - Draco the Writer. Harry the Reader. ...like Draco Malfoy writing novels about how much he yearns for Harry Potter, but nobody getting that that's what he's writing about. ...And then Ron being the only one to figure it out and no-one believing him. I love it. So much. And, actually, it's quite well done. *I'm tired, and I sound like a 19th Century novel with no filter when I'm tired. I can't be bothered to edit it out, so you'll have to put up with it. I also can't guarantee it won't happen again, but I'll try. What's impressive also is the levels of fanboy Harry reaches for in terms of following Draco's writing, without even realising that the books are about him. He has a newsletter subscription (delivered by owl, naturally,) from Draco's publisher! Lol! It does get a little saccharine sweet at one point. But by then, you're either on board for this or not, y'know? Oh, and this is Drarry, by the way, in case that wasn't clear from the start. I just can't get over the thought of Draco Malfoy as a writer. Just as a heads up, there's some reference to violence, bleeding, and low self-worth, in this fic. So be careful my nerdlets, m'k? M'k. I could totally see Draco as a writer. I think he would be so angsty and emotional, a poet would even suit him too. This sounds amazing and like it could totally be a real thing to happen, Draco writing books about Harry lol.